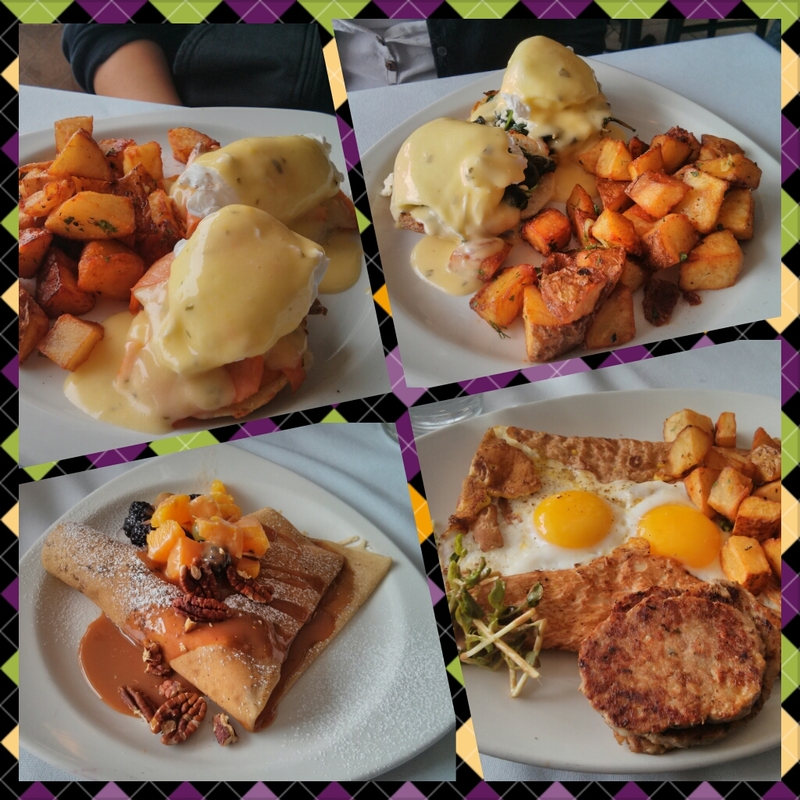 My friends and I wanted to have brunch on a Saturday back in February and we didn’t want to go to the usual places (Cora’s and Mel’s while Golf’s Steakhouse & Seafood only does Sunday brunch) so we decided to try Village Creperie. 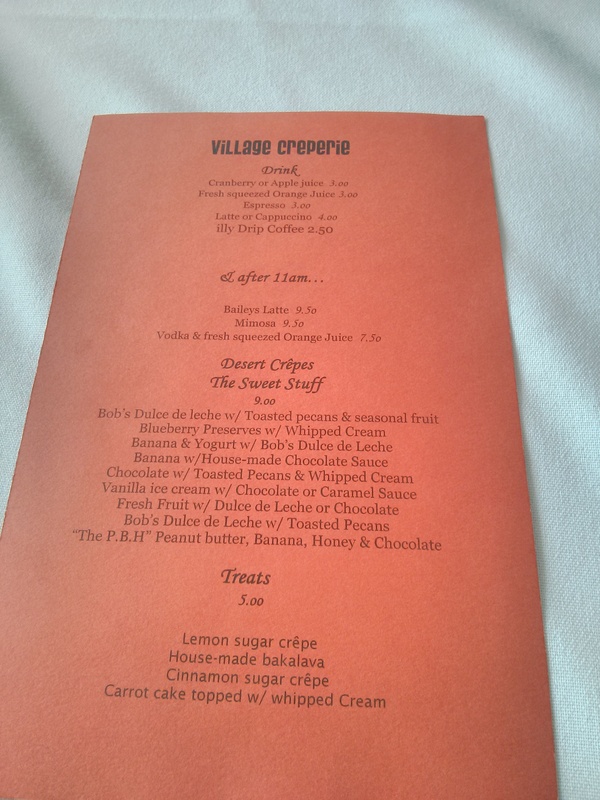 Village Creperie only serves crepes however it has quite the variety of savoury and sweet crepes. Two of my friends had the crepes from the Special’s Board. They had the Benny’s Special ($12) while my other friend and I had the Good Morning Crepe ($11). One of my friends had the smoked salmon Benny’s Special with a side of bacon. 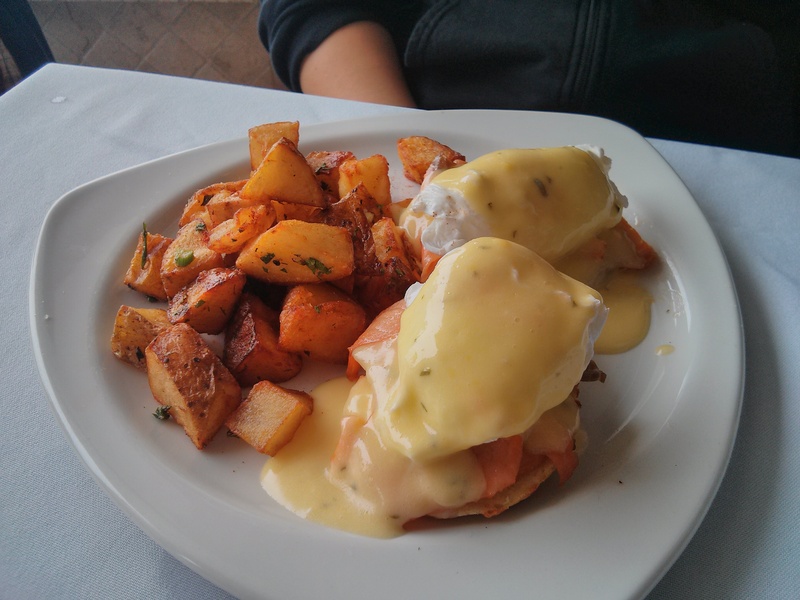 The Benny’s Special includes 2 poached eggs, smoked salmon between biscuits topped in hollandaise sauce. 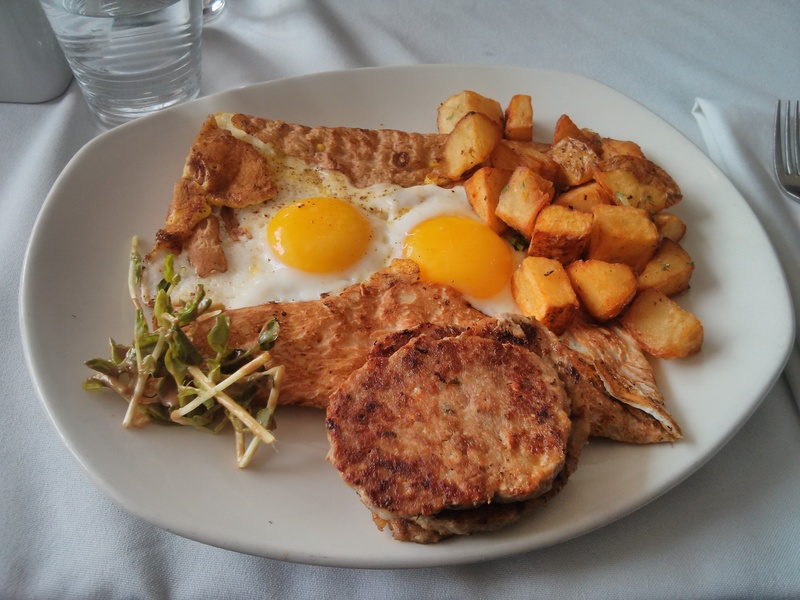 It also comes with a side of homefries. My friend enjoyed it. 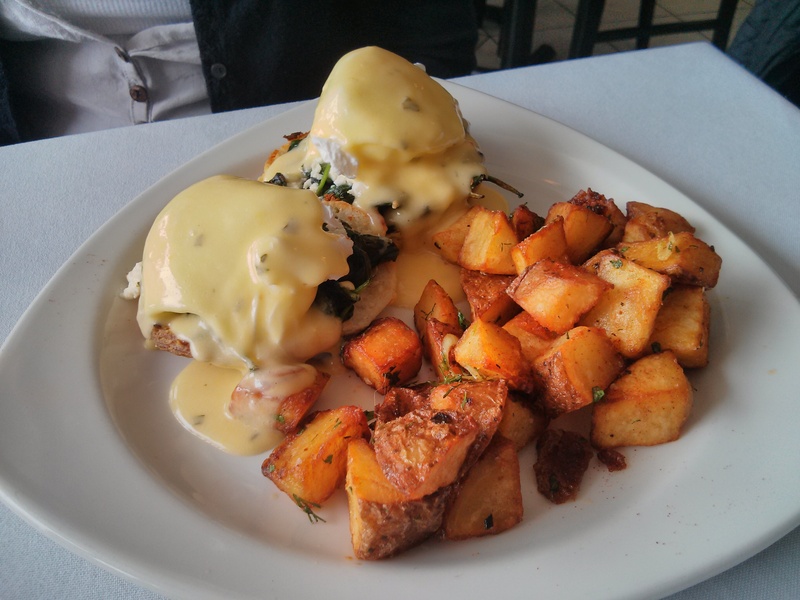 Another of my friends had the Florentine Benny’s Special. 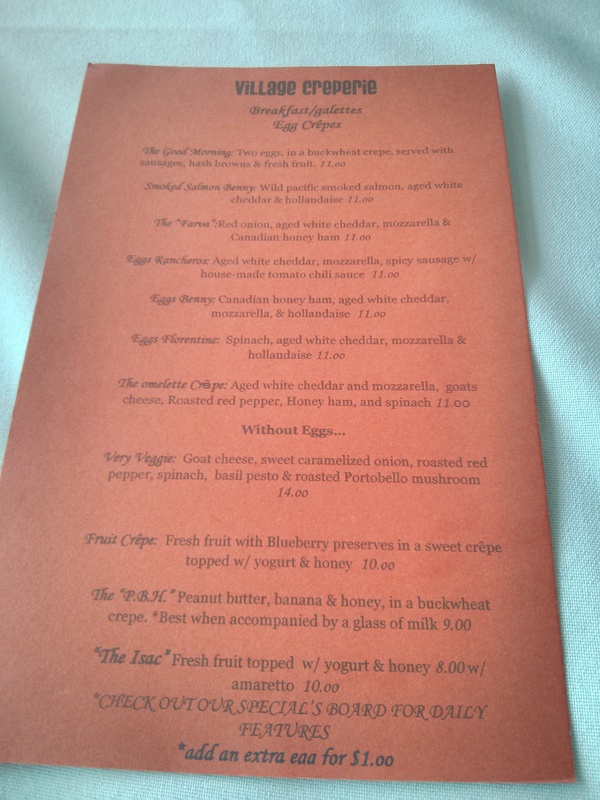 It includes 2 poached eggs, feta cheese and spinach that are sandwiched between biscuits that are topped in hollandaise sauce. It also comes with a side of homefries. My friend was very full and satisfied with this dish. My friend and I loved the Good Morning Crepe. The Good Morning Crepe comes with a bowl of fruits, hash browns, sausages, a side of homefries and 2 eggs in a buckwheat crepe. It’s very fulling and quite hearty and delicious. We also ordered a dessert crepe ($9). We chose Bob’s Dulce de Leche with toasted pecans and fruits. 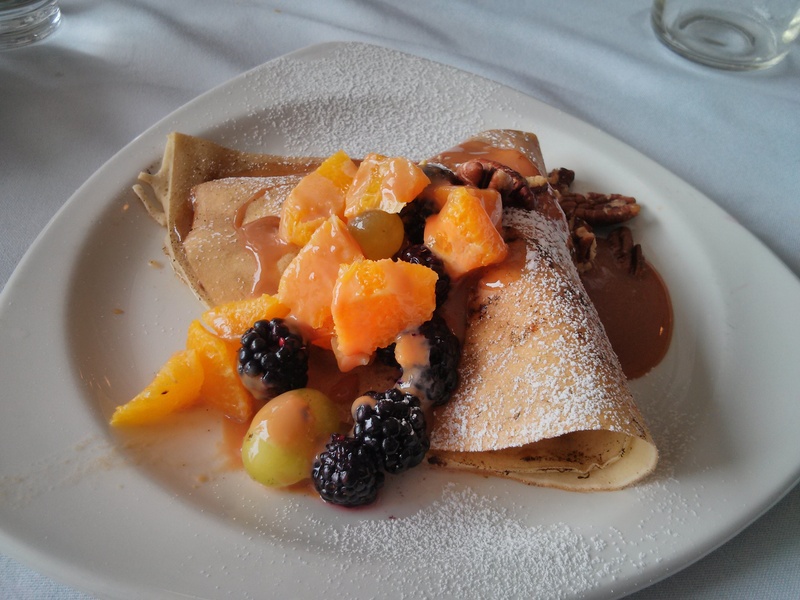 The crepe had dulce de leche, fruits and pecans inside. The fruits included blackberries, oranges, grapes, honeydew, and pineapples. It’s a very scrumptious and sweet crepe. Overall, if you want crepes, this is the place to go for Kitchener/Waterloo. It’s located in a quaint part of town that has an Uptown Waterloo feel without the tall buildings. I would probably try the Very Veggie Crepe the next time I come back. 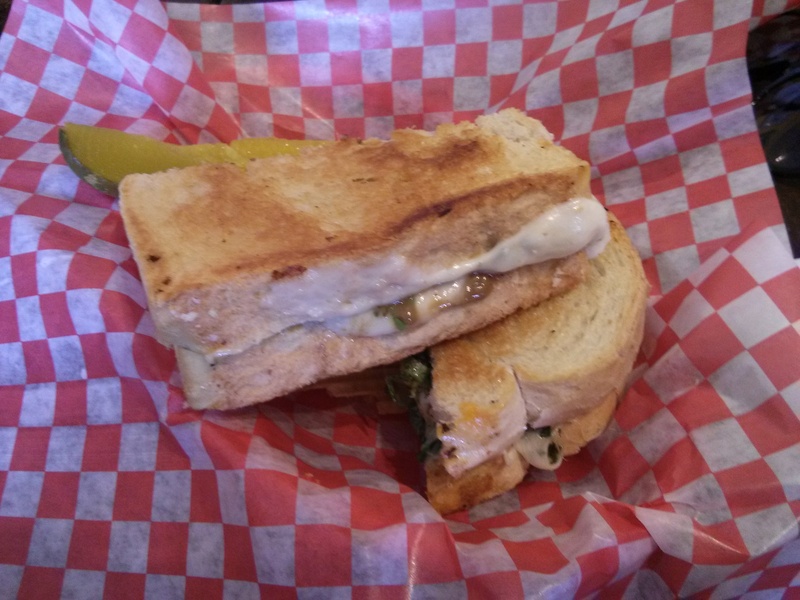 My high school friends and I were wandering around Kensington Market this past Monday when we decided to eat at The Grilled Cheese. 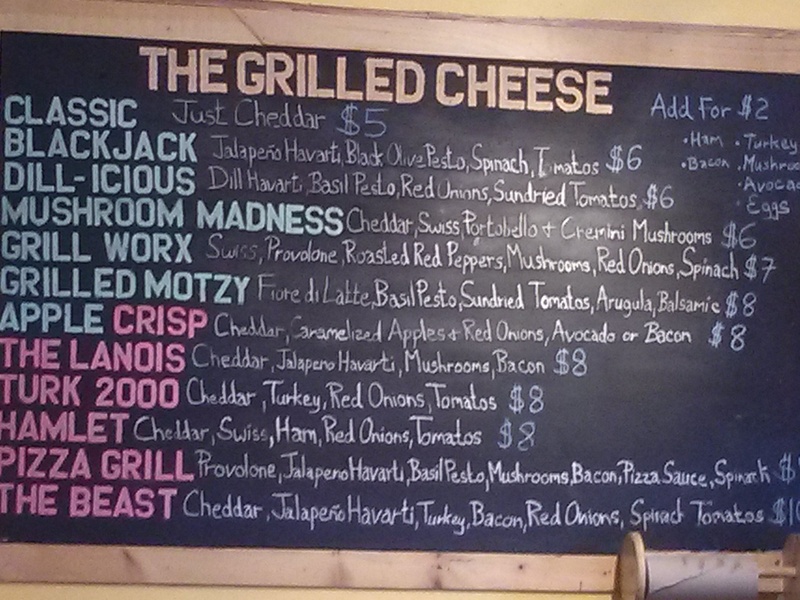 I got the Grilled Motzy ($8) while my friend had the Mushroom Madness ($6). My other friend wasn’t hungry so she didn’t order anything. 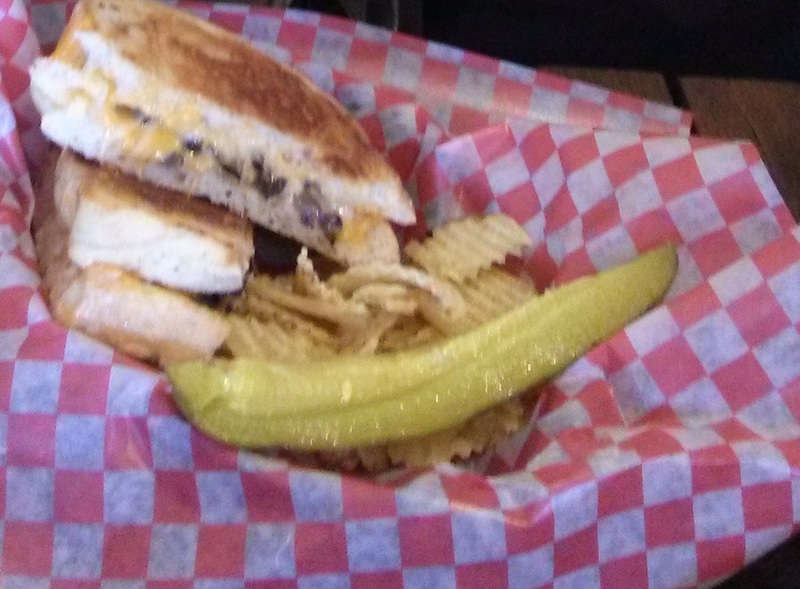 The grilled cheese sandwiches comes with pickles and chips. It’s a great restaurant in the summer because you could sit outside on the picnic tables or inside. The restaurant vibe and decor is quite nice. I loved the Grilled Motzy. It has balsamic vinegar, basil pesto, arugula, sundried tomatoes and Fiore di Latte cheese. It’s very filling. The chips that came with it were on the salty side but nothing a bit of ketchup can’t fix. My friend loved the Mushroom Madness. It has cheddar cheese, swiss cheese, cremini mushrooms and portobello mushrooms. If you’re in Kensington Market or Chinatown and craving a grilled cheese sandwich, I would definitely recommend this place. The next time I come back, I’ll probably try Blackjack. I usually get take-out from Hog’s Tail and it’s usually purely meat in a take-out container. I usually get their 1lb of pulled pork ($10) although I’ve had their 1lb of beef brisket ($11) and their ribs ($12/20) before. I’ve also tried their Catfish Louisiana Po’Boy ($11). They were all tasty. However, my friend and I decided to dine in in April after our history of always getting take-out. 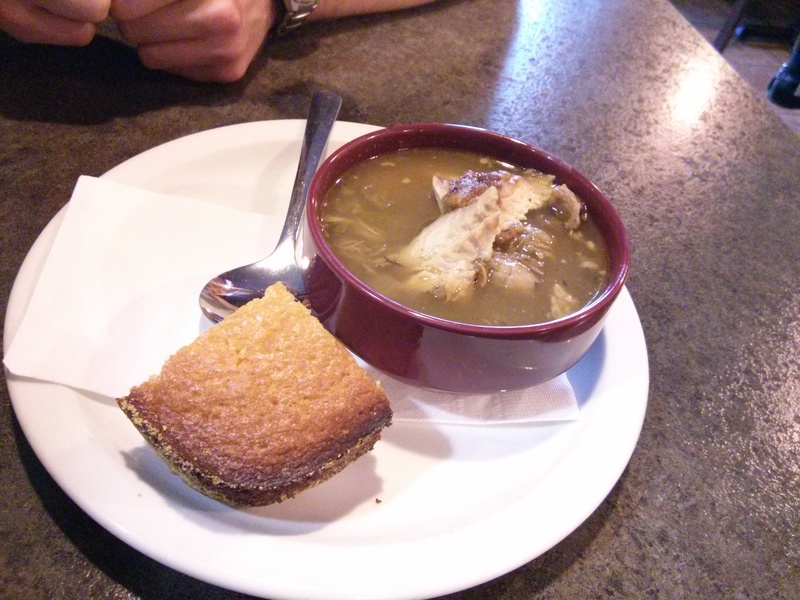 We split an appetizer called Chicken and Andouille Gumbo ($7). It is a stew comprised of chicken, Andouille sausage, peppers, onions, celery, okra and rice and it comes with a square of cornbread. It’s quite tasty. 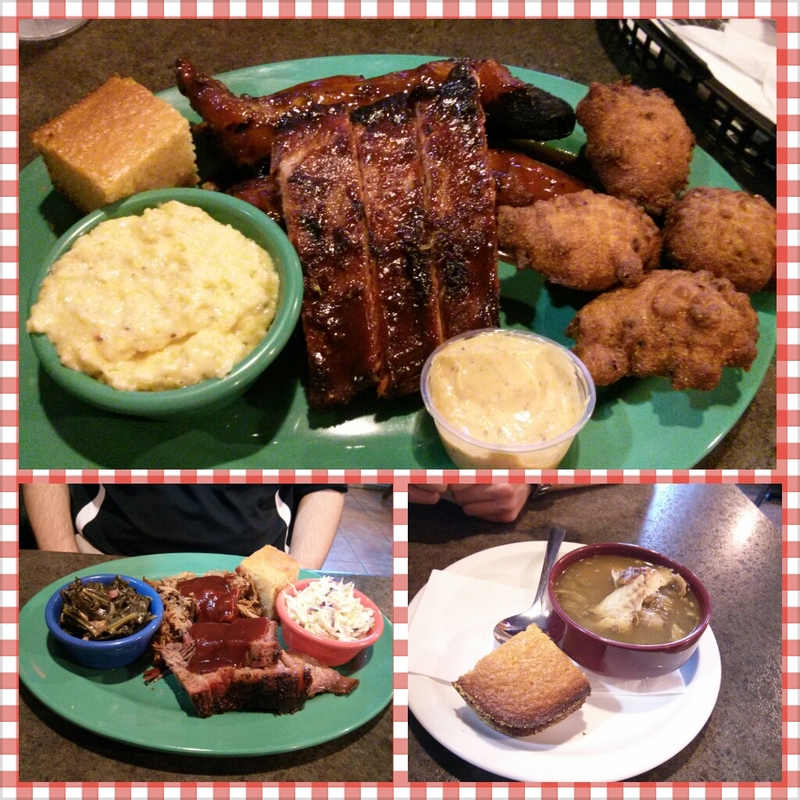 We both got the 2 meat and 2 sides sampler platter which also comes with a slice of cornbread ($17). 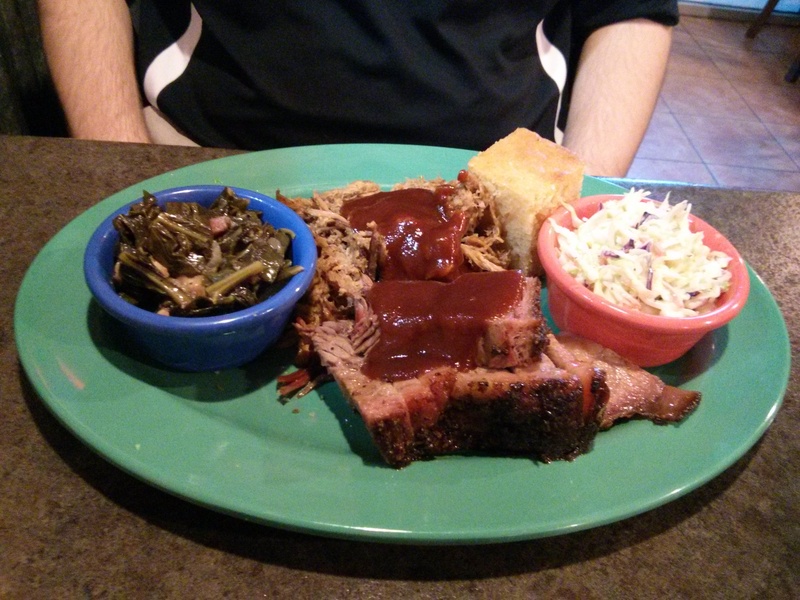 My friend had pulled pork, beef brisket, coleslaw and braised collard greens. My friend didn’t like their beef brisket for that particular meal since it wasn’t as soft and tender as the ones he had before. However he liked the pulled pork, coleslaw and collard greens. I decided to try their pig tails, jalapeno hush puppies and Carolina stone ground grits. I also had their ribs. 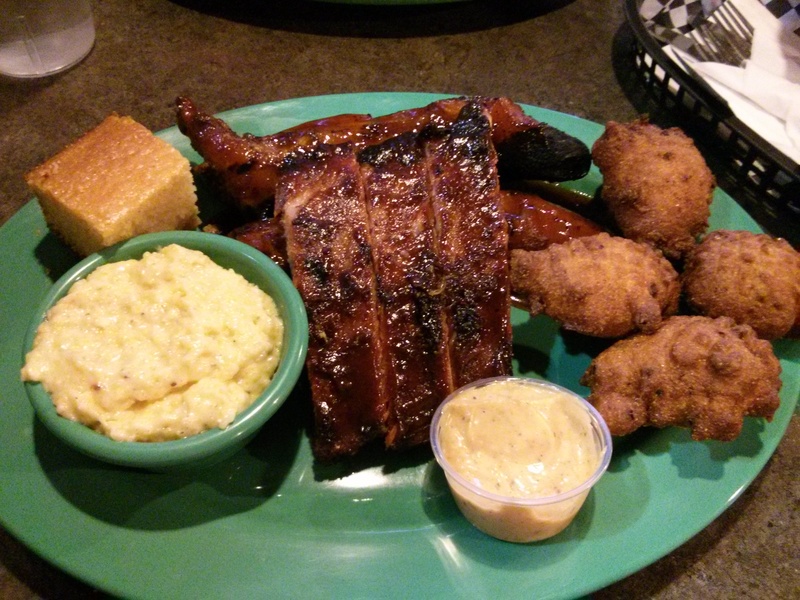 I liked their jalapeno hush puppies and their ribs. I discovered that I’m not a fan of pig tails and grits. I wasn’t able to finish my meal so I had leftovers for brunch and dinner for the next day. Overall, if you want Southern style BBQ in Waterloo, this is the place to go. Waterloo has a few delicious Middle Eastern restaurants and I wanted to see if Toronto had any as well so that I don’t have to always go to Waterloo for good Middle Eastern cuisine. Armenian Kitchen serves up a good shawarma plate that’s very filling. I had the mixed shawarma and veggie combo ($16 with taxes and tip, $14.68 with taxes) . 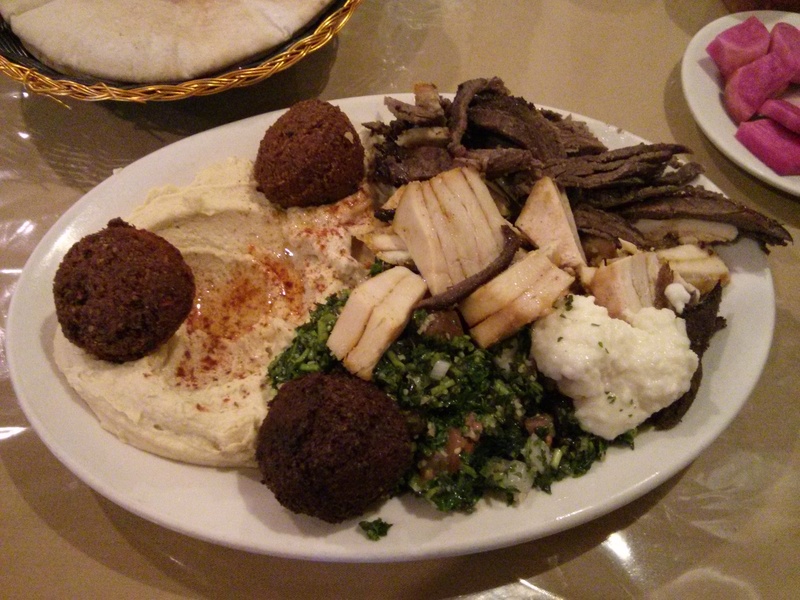 It comes with a mix of chicken and beef shawarma, hummus, babaghanoush, taboule, 3 falafels, labaneh and 3 pitas. You also get a plate of pickles. The portions are very generous and this one meal lasted me for three meals (dinner, tomorrow’s lunch and tomorrow’s dinner). Overall, the quality of the food is good and I would come back again if I’m craving shawarma in Toronto. 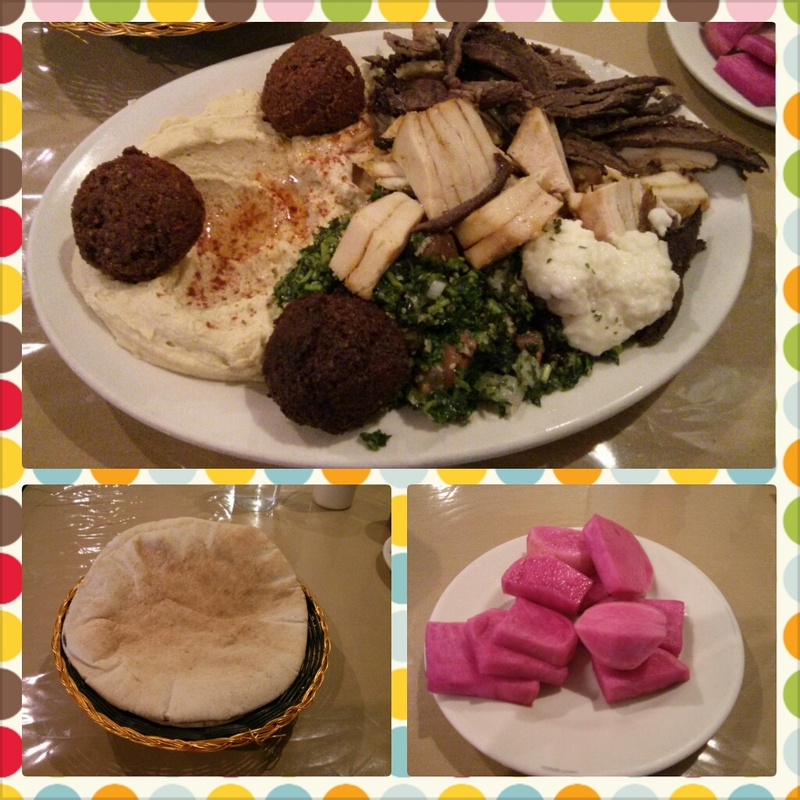 Afew weeks ago, I went to Safa Kebob with a friend since it’s been a while since my last visit there. 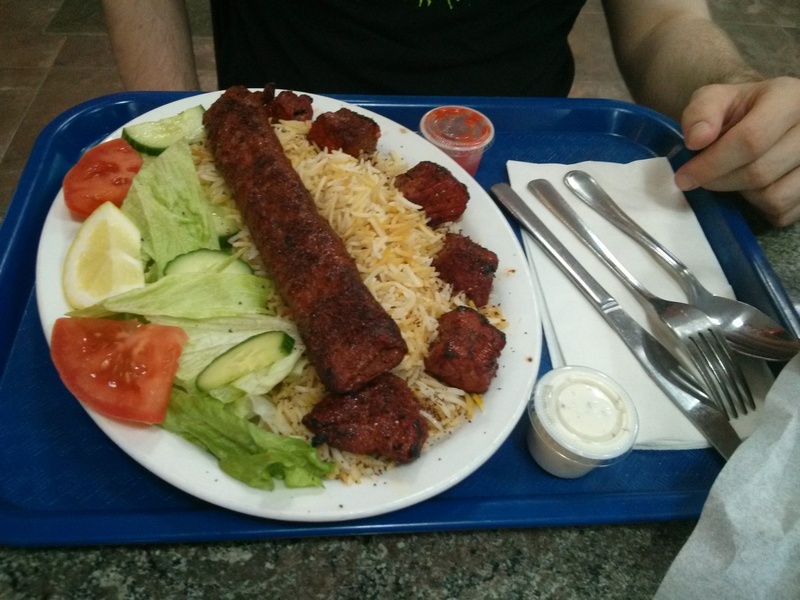 Originally, Safa Kebob was part of my list of decent restaurants to eat in KW however I was sorely disappointed on my last visit. 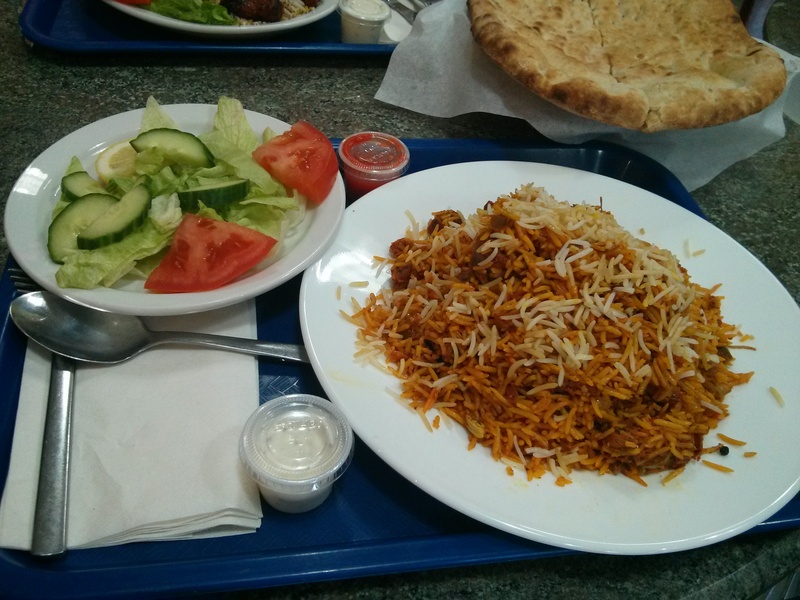 On my first visit I had the Chicken Gahlfiarazi with rice, salad, bottled water and naan. 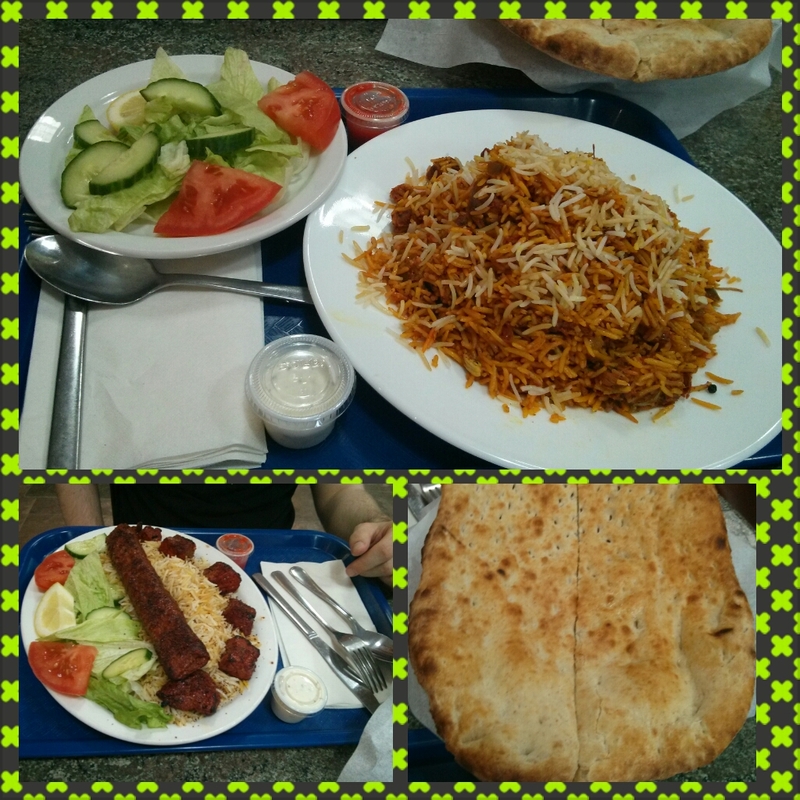 This time around, I got the Goosht Biryani with salad and naan while my friend got the Beef Tikka and Beef Shami Kabob. 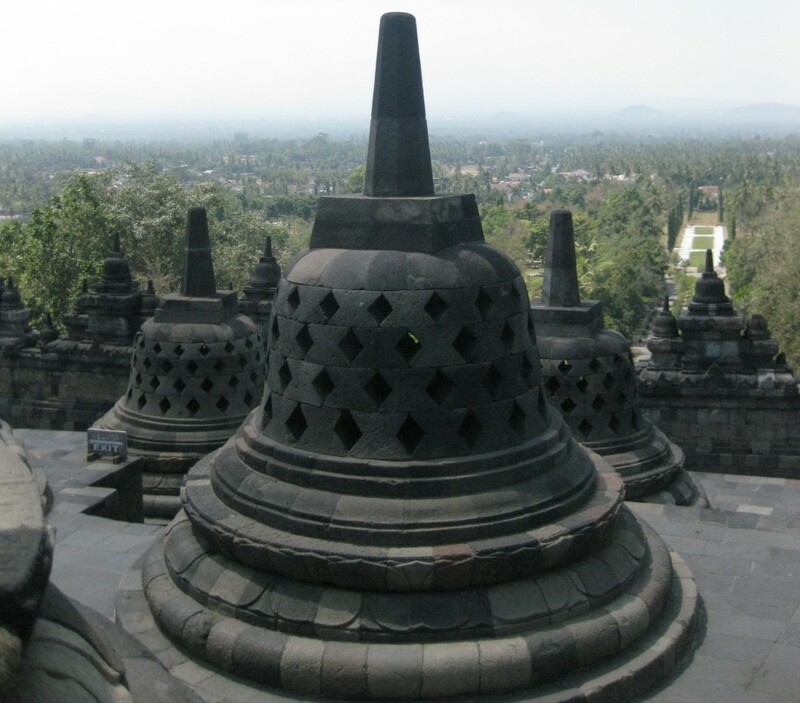 The service we received the first time we went there in 2012 was friendly and welcoming. The service we received when we went back there in early May wasn’t quite as welcoming and bordering on unfriendly. The Goosht Biryani was ok, it wasn’t as spicy as I thought it would be and there wasn’t much ingredients in it, just lots and lots of rice with minimal meat and some sauce. There wasn’t much flavour to it and Indian cuisine is known for its spices and flavour. I actually prefer the Chicken Gahlfiarazi since it was very spicy and had a balanced portion of rice and meat. The salad was nothing special. My friend thought the Beef Tikka and Beef Shami Kabob were ok. Overall, we both prefered the quality of the food the first time we went in 2012 and the service was much better and friendlier in 2012. I wouldn’t recommend this restaurant if you’re looking for Indian food in Kitchener. Tired of always eating at the same restaurants? Unsure of where to go to eat out? Here’s a list of decent restaurants in Kitchener-Waterloo, organized by cuisine type.